Life with the Larsens: Second Trimester! 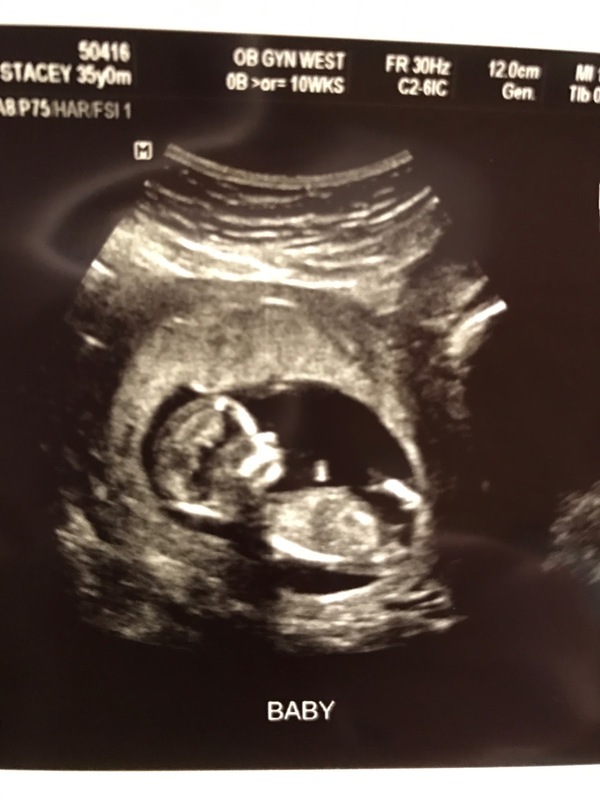 In honor of the first day of our second trimester, here's a picture of baby from our screening ultrasound that we had yesterday. S/he looks much less like a blob now :) S/he was also bouncing around and got the hiccups while we were watching. So weird to see it happening when I can't feel any of it just yet! Wow!! What a great picture!! Does the profile look like your's or Mike's? 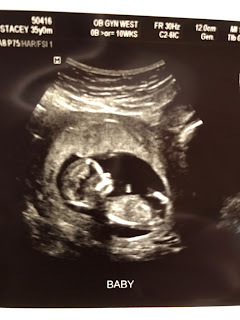 Looking back at Leo and Jason's ultrasound photos, I can totally see the look of them now from their pictures then! !